Mary Mancini, the high priestess of the Looney Left is now reaping what her party sowed when it took political correctness to its illogical extreme. She is undoubtedly in favor of Memphis Democrats’ plans of digging up Nathan Bedford Forrest and his wife and moving them to a more remote location. Nothing like a good phony issue to detract the masses from other Memphis issues like government corruption and failed schools, eh, Mary? (which really means she is in favor of digging up and reburying the reputation of Jackson). Why stop at Jackson? 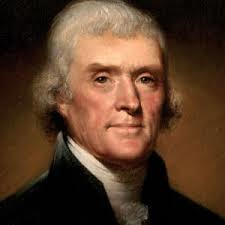 What about Thomas Jefferson, Mary? He was not only a slave owner but a misogynist as well (just ask Sally Hemings). Want to dig him up too? And let’s not overlook another Democrat Tennessee President, James Knox Polk, who was a major slave owner before and after he was president. The only Tennessee President who would pass muster under Queen Mary’s rules was Andrew Johnson who did not own any slaves. But he was a Republican, so that might be a problem. Rights Act. He even joined the 76-day filibuster by southern segregationists (of whom all but one were inconveniently Democrats) to try and block the bill from ever coming to a vote. That sure looks like a racist to us. Off with his head and away with his body! We suggest Mancini take her witch hunt to West Virginia where the late Robert Byrd, Democratic Leader of the U.S. Senate, not only used the “N-word” on occasion, but was a former member of the Ku Klux Klan. Of course the people there may object to Mancini’s crusade of moral superiority. Before Mary tries to expunge the name of Robert Byrd in that state, she might want to take a gun for self-defense, it being West Virginia and all. Oh, wait, that’s right: Mary and her merry band of hypocrites are against guns. Have a nice trip, Mary. Write and let us know if you find a clue.